Focal Shape. After three years of furious research and development behind firmly-closed drapes at Focal HQ, the JMLab team have finally announced an exciting new range of active studio monitoring speakers featuring their most innovative technology to date, and boasting a truly critical and articulated listening experience. Shape has been designed with high definition, neutral midranges, wide/precise stereo imaging and acoustic transparency in mind. 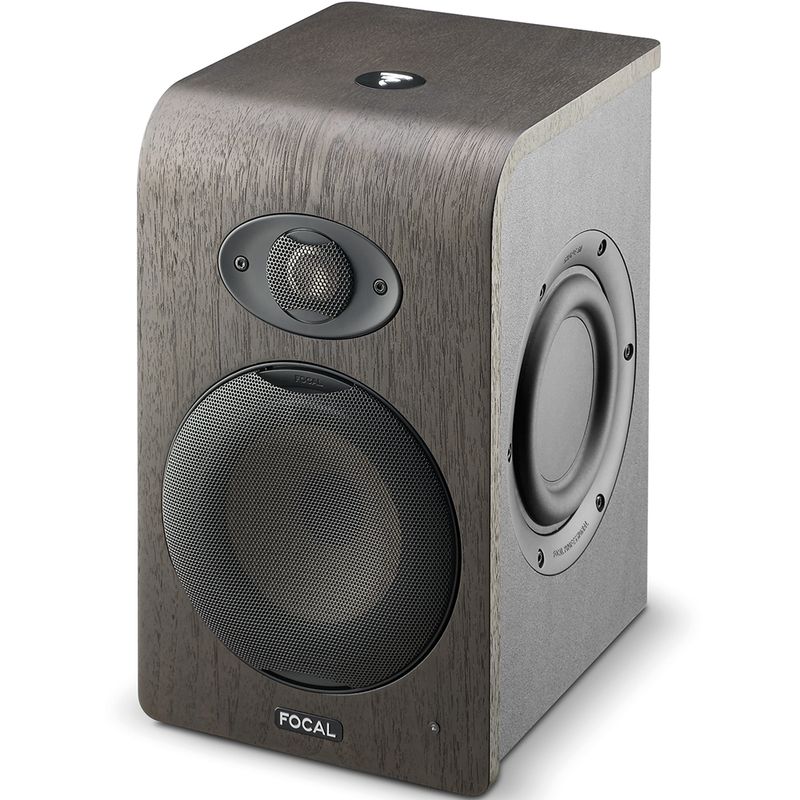 Right off the bat you’ll notice Focal’s newly designed MDF cabinets featuring custom Walnut-Effect veneer. The dimensions of each speaker cabinet throughout the range have been painstakingly calculated to ensure a linear high-end frequency response. Under the hood, exciting developments are also afoot. Focal have introduced a newly designed ‘flax sandwich cone’ woofer consisting of a layer of flax fibres between two glass fibre layers. 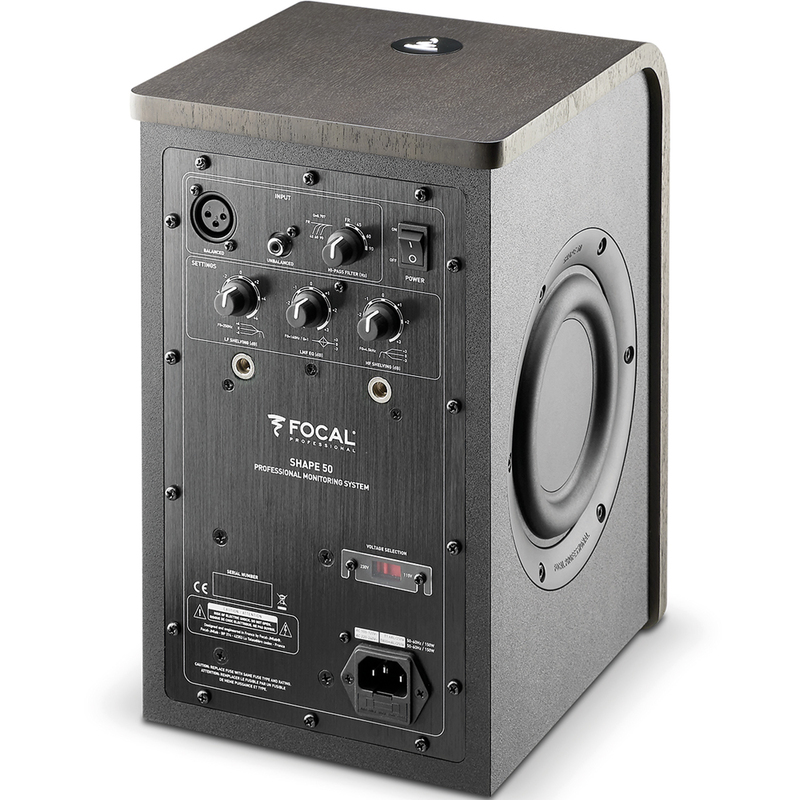 The composition of materials is similar to that of the drivers used in Focal’s SM6 and SM9 ranges and delivers predictably striking results. 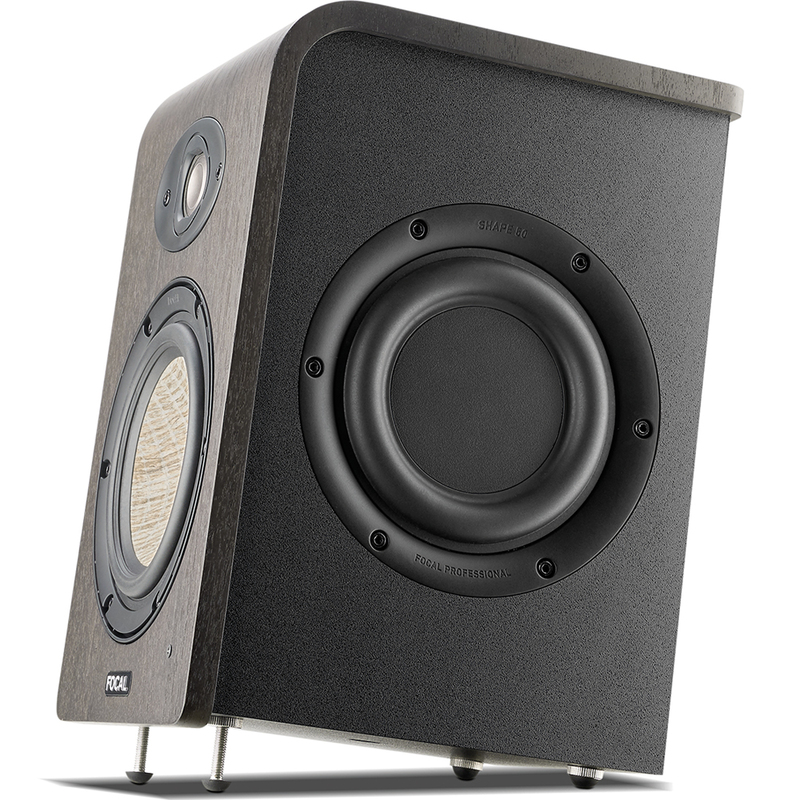 The Shape models also feature a new M-shape inverted aluminium/magnesium composite tweeter offering a linear frequency response below 6 kHz and optimising the crossover with its woofer counterpart. The rigid design is surrounded by specially designed housing to reduce distortion and provide equal horizontal and vertical directivity. 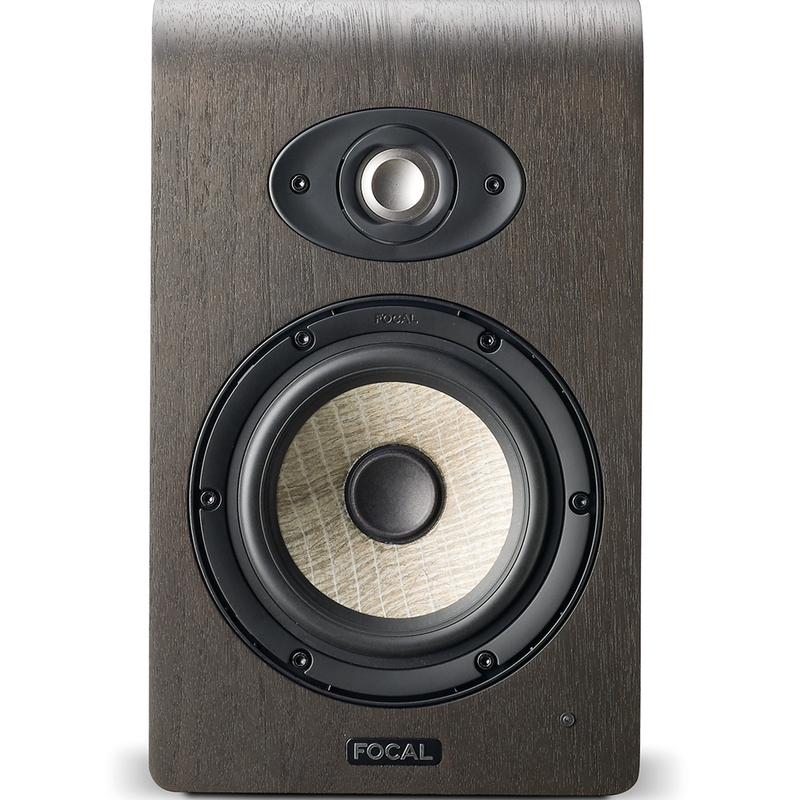 Unlike the majority of Focal’s other nearfield monitors, the Shapes are un-ported, sealed units. 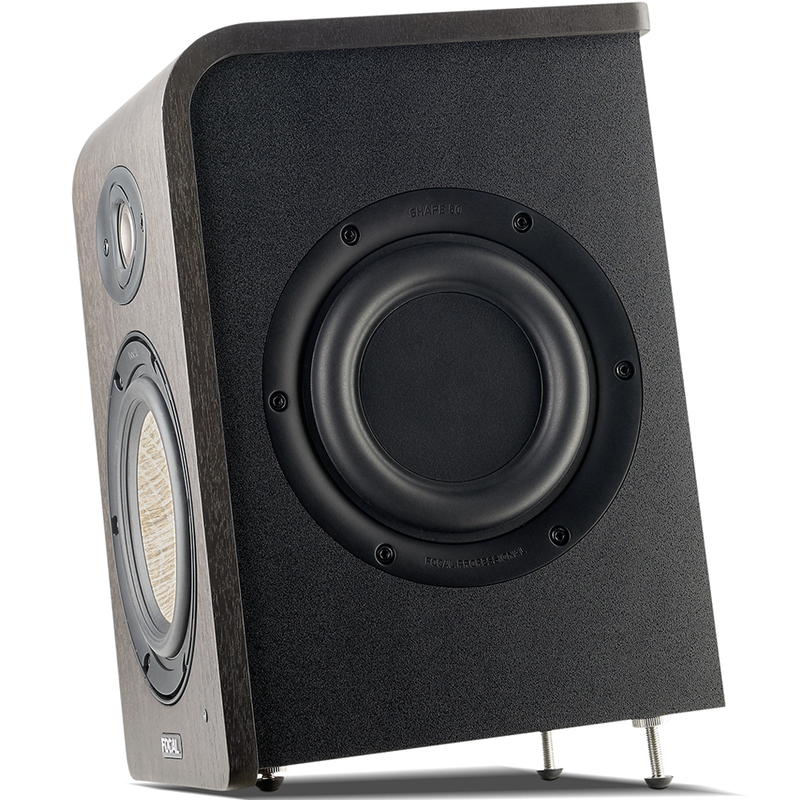 The task of maintaining an extended frequency response in such compact speakers has been achieved by introducing dual passive radiators to the side of each model. This tactic not only means that impressively low tuning is possible, but also that the monitors can be placed in close proximity to walls without the worry of rearward reflections and compromised accuracy. Several additional innovations have found their way into the Shape design: a ‘Neutral Inductance Circuit’ (or N.I.C.) reduces the effect of the woofer voice coils on their magnetic field whilst optimising tweeter crossover. 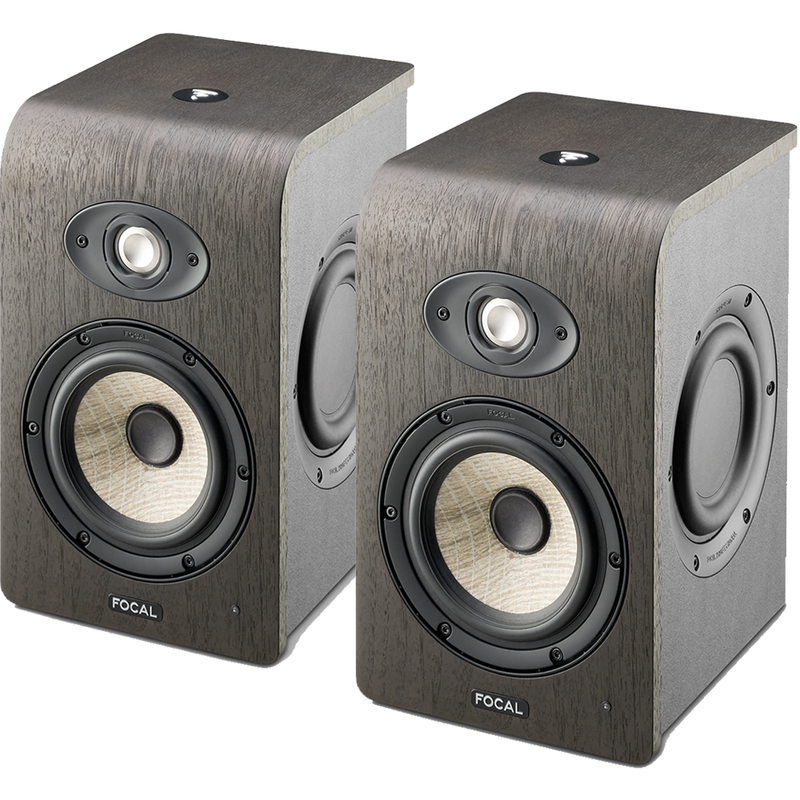 Plus, around each of the drivers, Focal have employed a TMD surround system which optimises harmonic absorption ensuring a piston like action reducing distortion and yielding a greater overall stereo image. And finally, class AB amps have been specially chosen to ensure optimal control over signal and dynamic range. Every aspect of the Shape has been carefully considered to ensure the greatest critical listening experience in any situation – and we mean any situation: each model ships with protective grills and height-adjustable spikes to customise elevation and angle and threaded back panels designed for speaker brackets. The Shape 40 and 50 also include universal threads on their undersides for microphone stand mounting.